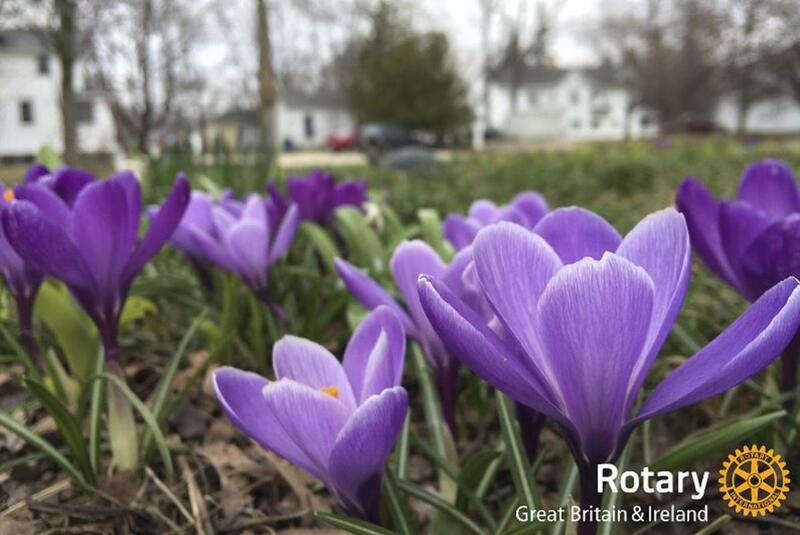 Following the success of our crocus planting over the last two years, find out how your Rotary Club or RHS Group can help paint District 1090 in the Thames Valley even more Purple4Polio in the Spring of 2019. In 2016, Rotary Clubs and RHS groups across Britain and Ireland planted over 7 million crocuses. We are particularly proud that in District 1090 clubs and their partners planted 340,000 crocus corms. In 2017 and 2018 we repeated our success, working with schools and community groups to plant more bulbs. The 2019 order form for D1090 is available to download. The form should be completed and sent with a cheque to the address on the form by 24th July 2019. The forms will then be forwarded to the national coordinator for the deadline of 31st July. Please note that this year we can order boxes of 4,000 corms. The aim of the crocuses is to raise awareness and raise funds for the End Polio Now campaign. Let's continue this project for a fourth year. 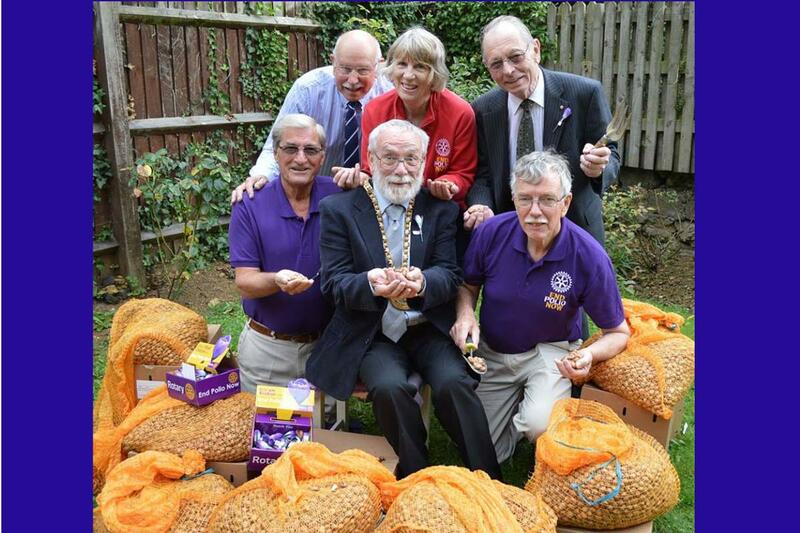 29 clubs from across our Rotary District planted 235,000 crocus corms. The bulbs arrived in our district on Thursday 8th and Monday 12th September: 17 boxes (that's 85,000 bulbs) in Banbury and 51 boxes (that's 255,000 bulbs!) in Witney. The Witney boxes were mostly collected on 12th September, with Rotarians from across the district coming to collect them. We were fortunate to have good weather since the pallet sat at the bottom of the drive for the day as it was slowly emptied. The photos above show many of the collections during the day. The Banbury boxes also included those sponsored by Cherwell District Council for civic planting by clubs in Banbury, Bicester and Kidlington as well as those bought by the two Banbury clubs for other areas of planting, so Banbury will be a particularly purple town in 2017. Visit the Growing Together to End Polio Now page to see the photos and reports of planting across the district. And for more information about the ongoing RIBI campaign visit the RIBI Purple4Polio pages where you will find useful resources including briefing notes and logos, and a Purple Menu full of ideas for your club.